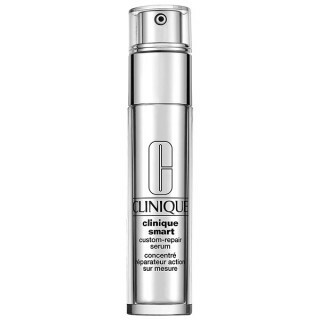 Head over to your nearest Clinique counter to get a free deluxe sample (10 day supply) of Clinique’s Smart Custom-Repair Serum, no purchase required! This new serum helps to banish the signs of aging and repair previous damage to your skin, leaving you with fresher, younger looking skin. The offer is good while supplies last. Learn more here. There’s a limit of one per customer, and is good only in the U.S. right now. I have really been wanting to try this product. I sent my Mom to the Mall to get one, and she did. I’ll be interested to see how she likes it.